Rainforest Seafoods Marketing Manager Roger Lyn with Food for the Poor beneficiary Latorya Williams. Photo via Food for the Poor Jamaica. Rainforest Seafoods will be donating $1 million to build houses for citizens in need, as part of their $2 million contribution to the recent Food for the Poor 5K Run/Walk. This follows a commitment by Rainforest made back in April to contribute $50 from each product sold to FFP’s housing projects. Rainforest Chief Executive Officer, Brian Jardim said he is inspired by the work of FFP and the joy the charity organisation brings to needy Jamaicans. “Having seen the joy of recipients and the efficiency of FFP in delivering housing units, we were inspired to continue our partnership. The entire Rainforest team is on board, as we all share in the mission of the organisation - changing lives and restoring Jamaican families,” Jardim said. Latoya Williams, a recipient of an FFP home, constructed in partnership with Rainforest in April 2016, shared "I am so grateful. I could not afford a house because I started out wrong in life and my parents couldn't afford to give me a good education. When I was to do my CXC subjects, my mother said she couldn't afford them. They had to send me home. After leaving schooI, I have to be selling and buying cookies and juices downtown. I made mistakes, but I want to better for my children - and this house is a start." 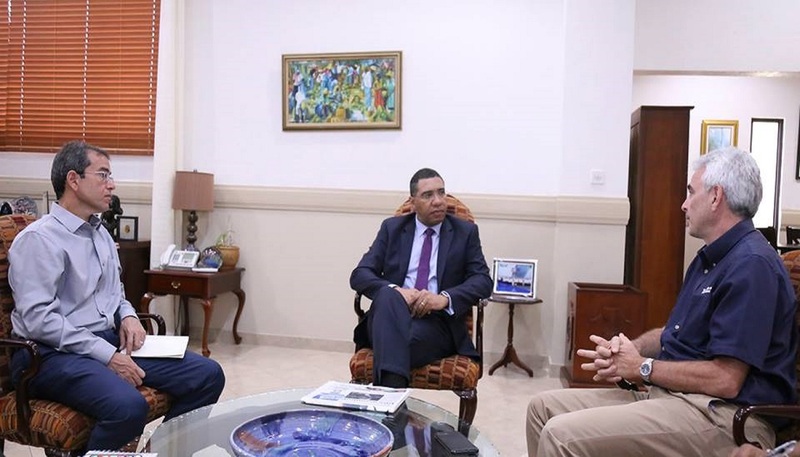 Jardim also thanked Prime Minister Andrew Holness for his recent affirmation of the great work of Food for the Poor. "This is an organisation that deserves everyone's support," said Jardim. "Their work and dedication speak volumes." Since 2015, Rainforest Seafoods has been partnering with FFP Jamaica. Inspired by that first experience, they have been supporting the annual Food for the Poor 5K and have jointly constructed over 20 houses. FFP Jamaica has constructed over 42,000 houses for destitute families in the 14 parishes of the island since 1983. The organisation has also distributed hundreds of container loads of necessary supplies to support infirmaries, ministries, church groups and other organisations with food, clothes, personal care items and equipment.